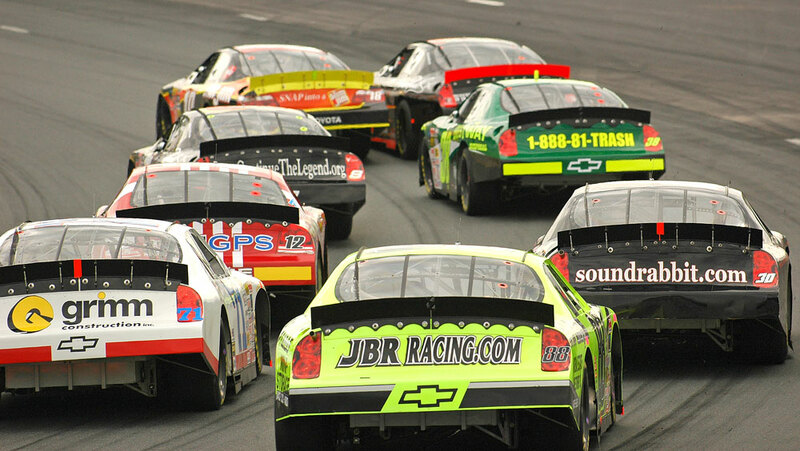 Looking back at the 2008 season, the Speed51 experts have voted on which Clutch Performance of the Week was bigger and better than every other one. The votes were cast and the race was close. 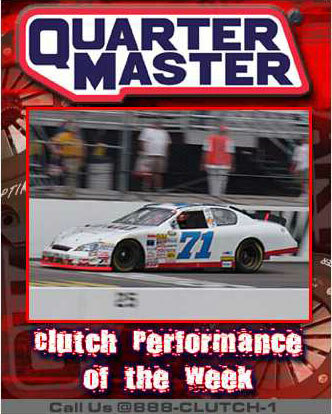 The winner of the "Clutch Performance of the Year" and will be awarded a clutch kit from Quarter Master, valued at $3,500. Eddie collected both the POWERade Power Move of the Race Award and the Featherlite Most Improved Driver Award at the annual postseason awards banquet at the Mohegan Sun Resort on Friday, December 12th. 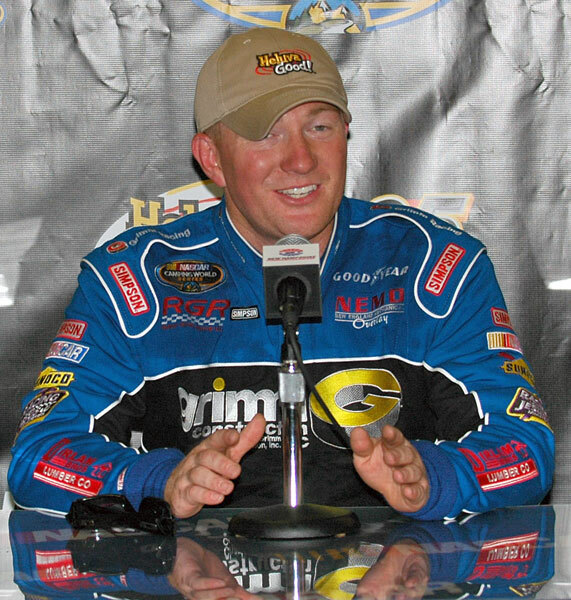 Eddie received the 7th place award for the 2008 CWES points standings. 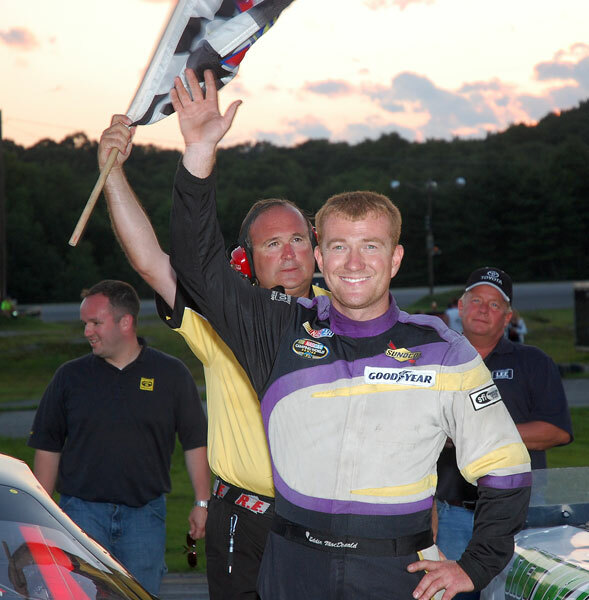 Eddie MacDonald escaped the mayhem at the conclusion of the CARQUEST Fall Final 150 at the Stafford Motor Speedway to post a satisfying fifth place finish in the final Camping World Series East race of the season. After struggling in practice and qualifying 23rd on Saturday, the run was especially satisfying for the team. “It was exactly what we needed. We were hoping for a little better but considering yesterday’s qualifying run that was so bad, this was a good finish. Rollie and the guys changed just about everything in the car last night and this morning. The only thing that stayed the same in the car was me. We didn’t know what to expect when the race started but they did a awesome job,” said MacDonald after the race. 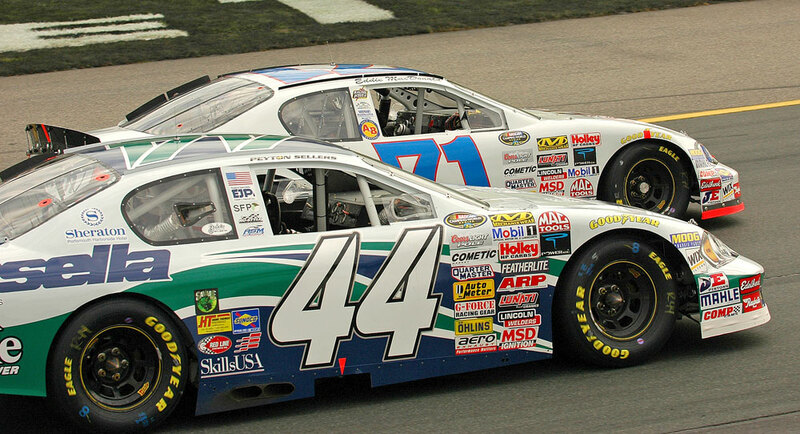 When the green flag waved, the Grimm Construction/NEMO sponsored Chevy began moving to the front. 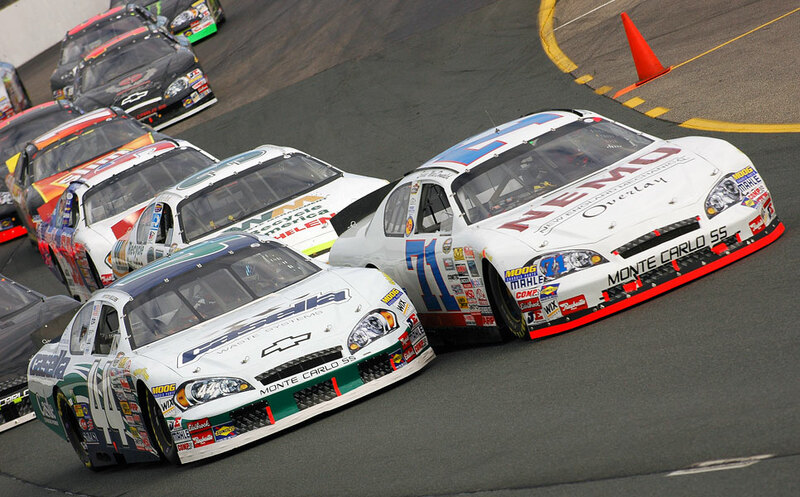 By lap 30, MacDonald was in the 19th spot on the grid and into the 10th position on the lap 46 restart. 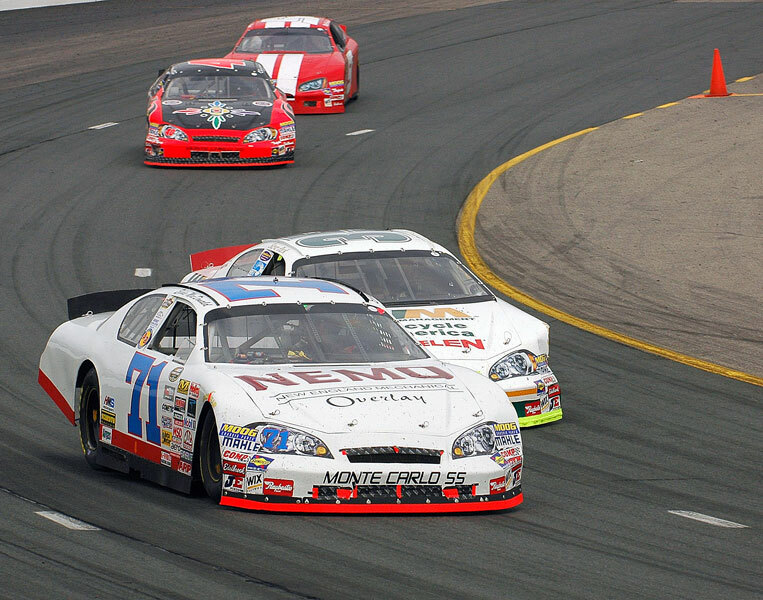 At the halfway mark MacDonald was in eighth place then a number of caution flags near the end gave MacDonald the opportunity to gain three more positions. 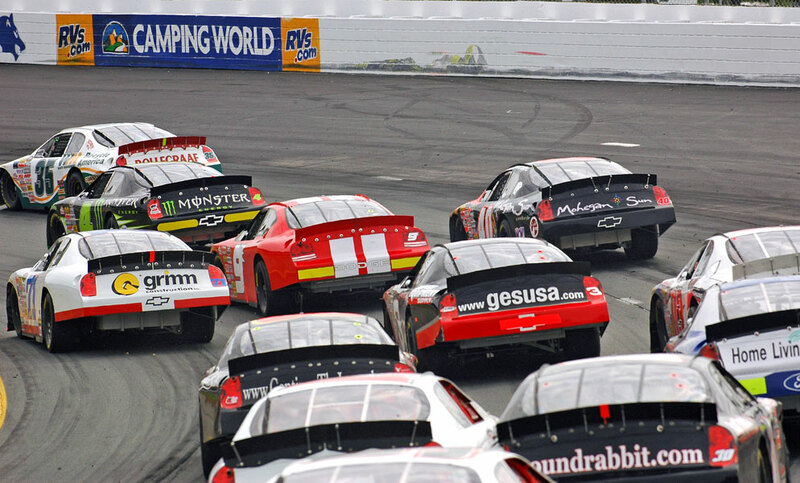 With the two huge wins at New Hampshire Motor Speedway, six top five finishes, and scoring seventh in the points race, the driver, crew chief, and owner all expressed satisfaction with the season. The team will now focus on improving on last year’s fifth place finish in the Toyota All Star Showdown in Irwindale, California in January. For the second time this season a faulty fuel pump ended any chance Eddie would post a solid finish in the NASCAR Camping World Series East Sunoco 150 at the Monster Mile. 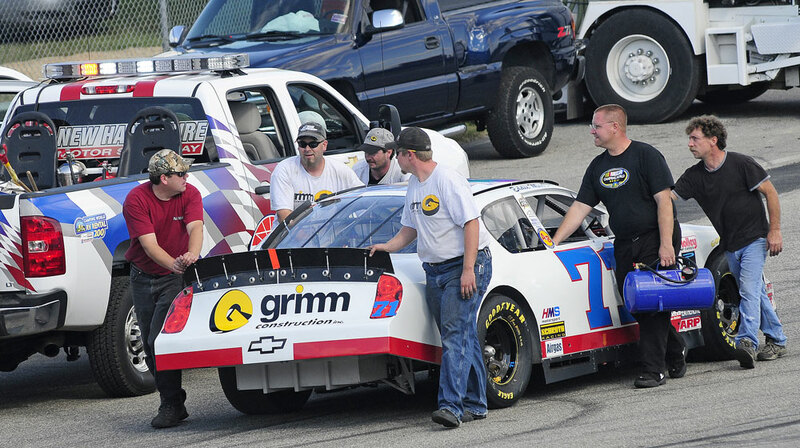 The Grimm Construction Chevy team was geared up for another good run after last week’s win at New Hampshire Motor Speedway but trouble came early on lap eleven resulting in a 20th place finish. “This is so disappointing that another fuel pump problem put us so far behind all we could do was ride around trying to pick up as many points as possible. We really hate it for our sponsors and fans when we are not competitive. The car was not that great to begin with so we were just staying in position after the green flag hoping it would improve but the pump broke. We had the same thing happen in the Nashville race. It seems this failure is not uncommon with the spec engines,” said a very frustrated Eddie after the race. The Grimm Chevy was 12th quickest in the first practice (143.632 mph), and then fell to 18th fastest (144.636 mph) in the second practice. Despite improving over three seconds (147.777 mph), Eddie qualified 18th on the starting grid. “ We really struggled with the car right away. It just wasn’t handling well. We made a lot of adjustments in the practices and it got a little better but we couldn’t get the handling we needed to get the speed out of the turns. Dover is such a fast track that if you miss the set-up by just a little bit you lose so much speed. It was just one of those days, I feel bad for our sponsors New England Mechanical Overlay, A+B vending, Hanover Place, Dirlam Lumber Co., Waymart Building Center, and R.B. Fries. Last week everyone was happy but today. That’s racing, ” said Eddie. 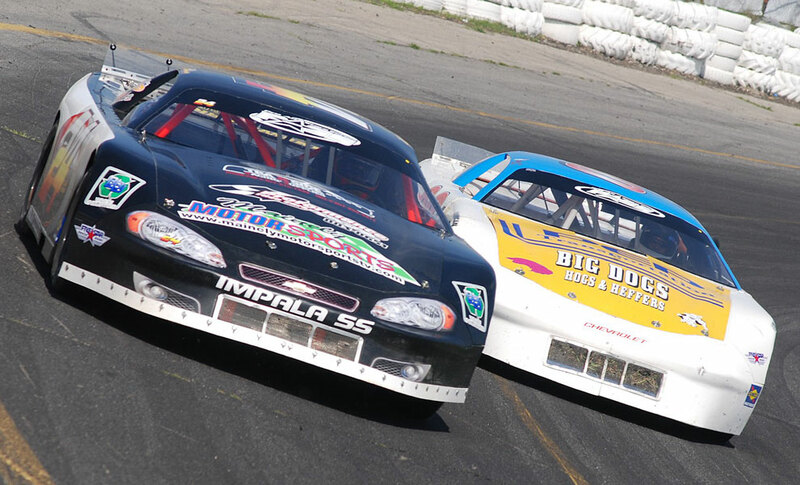 The team is currently eighth place in the point’s race and hopes to improve a position or two in the series finale at Stafford Motor Speedway on Sunday, September 28th. The action kicks off Saturday with practice and qualifying. Who Performed the Best In the Clutch This Week? Passing Steve Park with two to go! Matt Kobyluck is 3rd! 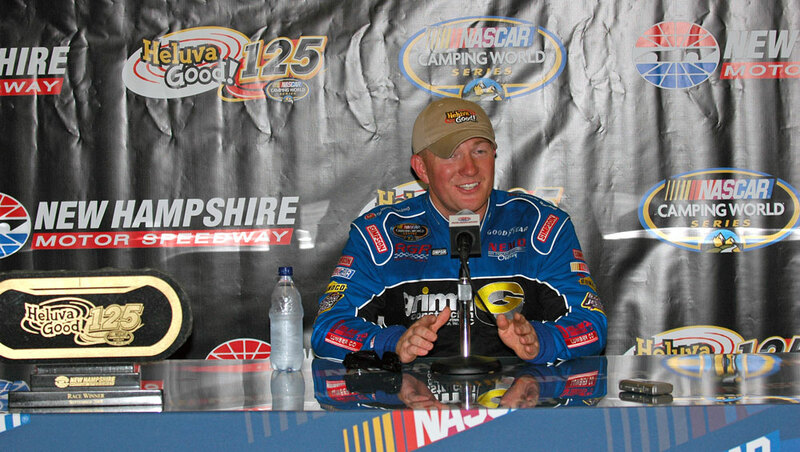 Eddie won the Heluva Good Fall 125 after a one-day rain delay at New Hampshire Motor Speedway on a last lap pass to clinch both races at the “Magic Mile” this season. 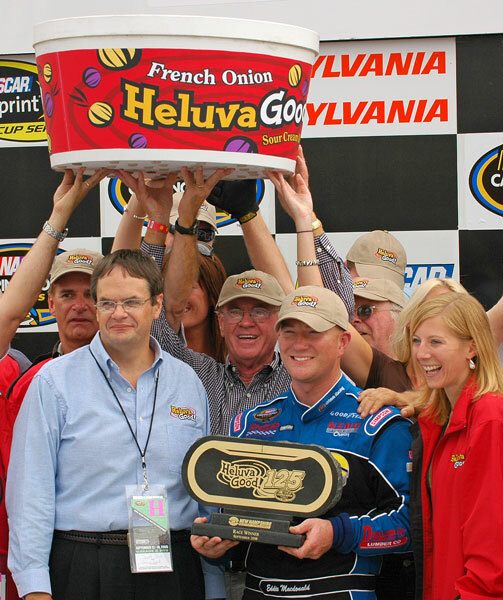 As in the June race, the NEMO/Grimm sponsored Chevy was the dominant car from the green flag in the NASCAR Camping World Series East event. Eddie started third after qualifying Thursday with a time of 30.190 seconds (126.161 mph) and wasted little time to take the lead on the first lap on the Friday morning start. 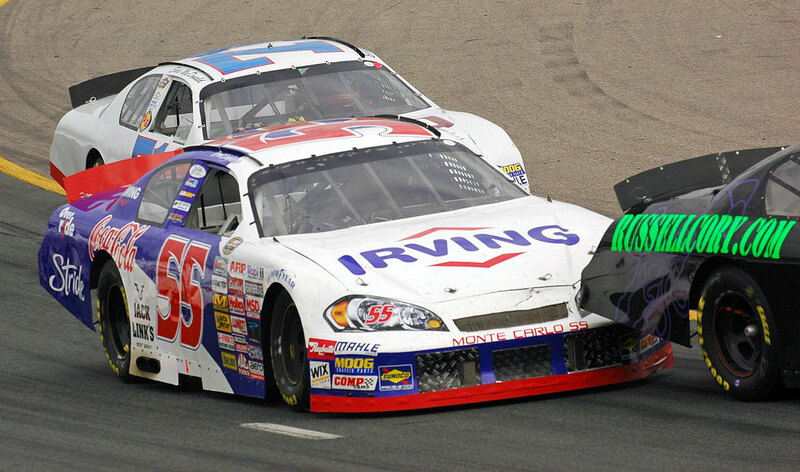 A planned early pit stop for gas on a lap 18-caution gave up the lead but the Rowley, Mass. driver surged to regain the top spot on lap 38. Eddie easily maintained a three to four car length lead on the #1 car with the #55 closing then eventually taking the lead on lap 77. Slipping back to third, Eddie got his wish on caution lap 91. On lap 97 Eddie ran fifteenth and by lap 113 moved into fifth place. With seven laps to go the #44 hit the wall, the #55 ran out of gas, and the #4 went to the pits leaving Eddie to chase down the #35 of Steve Park for the win. With the white flag waving, Eddie powered by the #35 to take the checkers for the second win at New Hampshire Motor Speedway. 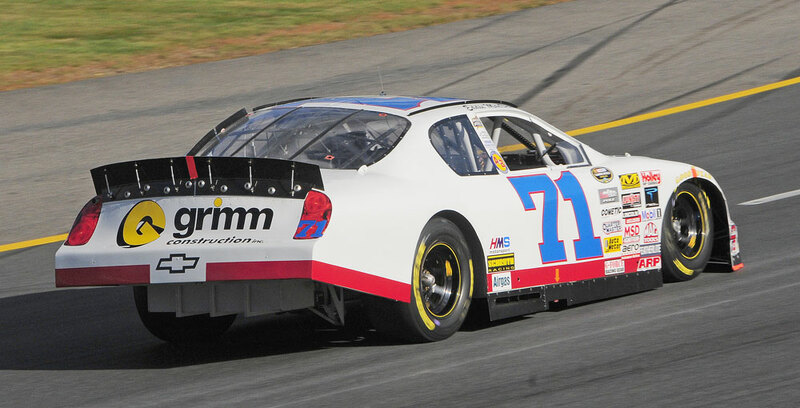 The team pocketed $5,000 for winning the Air Gas fund for the driver with the highest point total for both Camping World Series East races at NHMS. 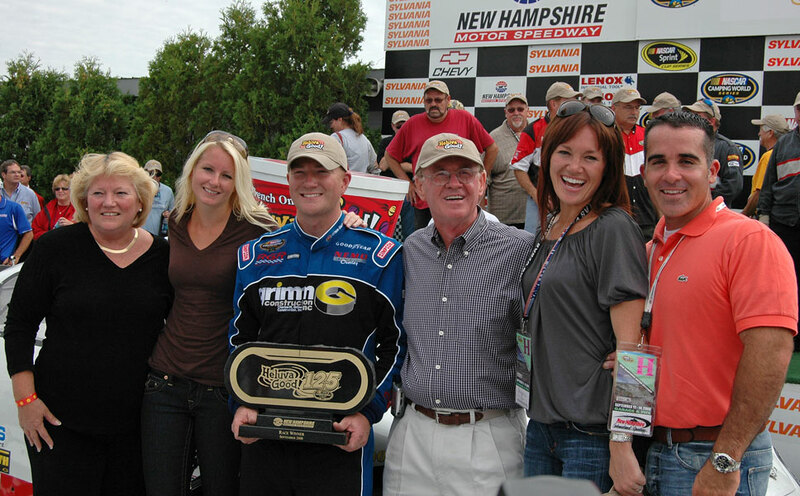 Eddie holds the distinction of winning the first-ever race at the renamed New Hampshire Motor Speedway in June and now adds to the honor as the only successive two-time winner on the Magic Mile. The Camping World Happy Camper award also went to Eddie, along with the Featherlite Most Improved Driver award for gaining the most positions from the Mansfield race where he finished 21st. 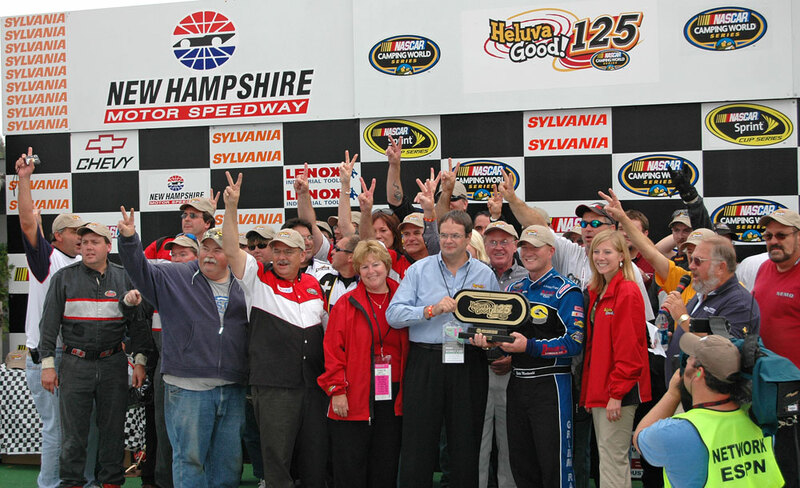 The win at NHMS gave Eddie 190 points, plus ten bonus points to move the team to seventh in the points from eleventh. 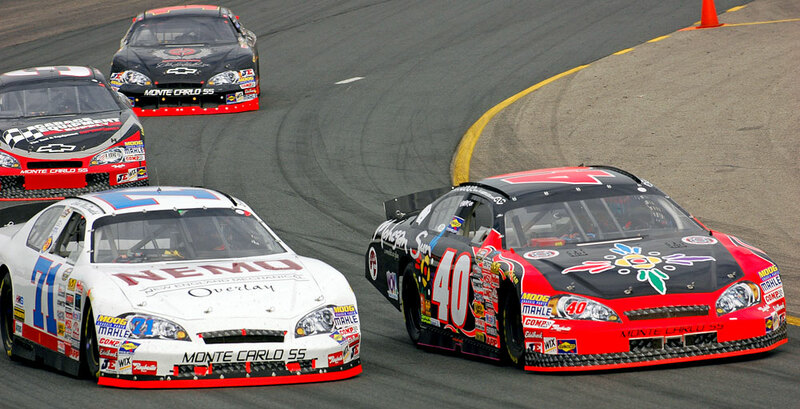 The NEMO/Grimm Chevy also lead the most laps with sixty of the 125 laps. Eddie, Rollie, and the team won the race with driving and strategy. One New Hampshire paper called the win luck but this win was earned. Eddie started out fast, pitted for fuel on lap 19, pitted twice for fuel and right side tires on lap 91. 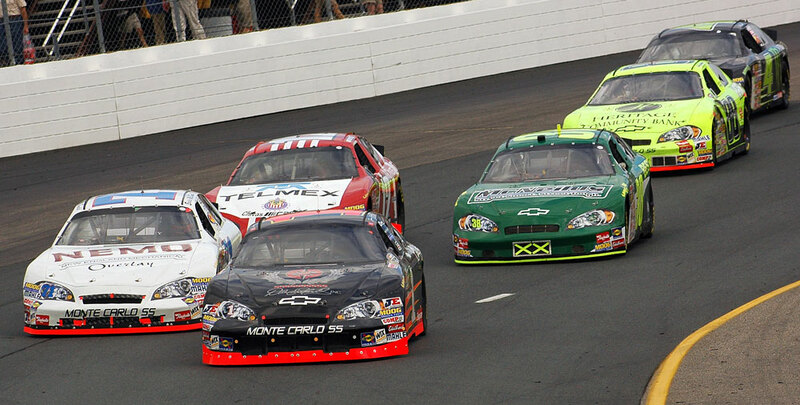 Eddie had to restart the race in the fifteenth position with only 28 laps to go. Other front-runners chose not to pit for fuel and/or tires and the gamble did not pay off. Even with tires that were not great, Eddie drove inside and outside skillfully to get to the front. The race was won with fantastic driving and excellent pit strategy. 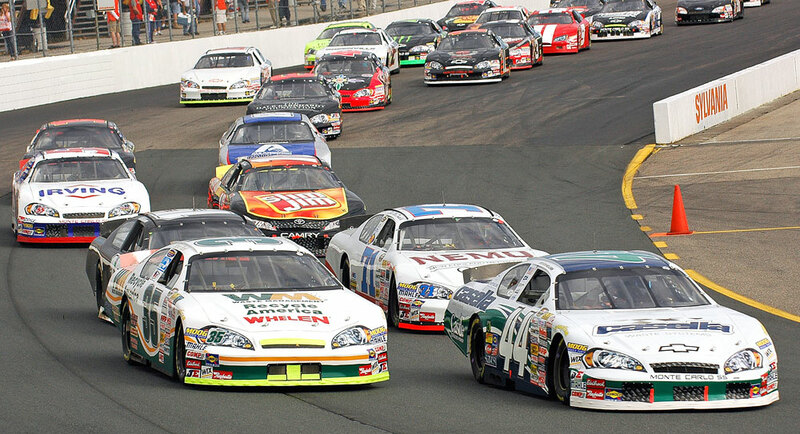 The team now moves on to Dover and the series finale at Stafford that have been good tracks with solid finishes. 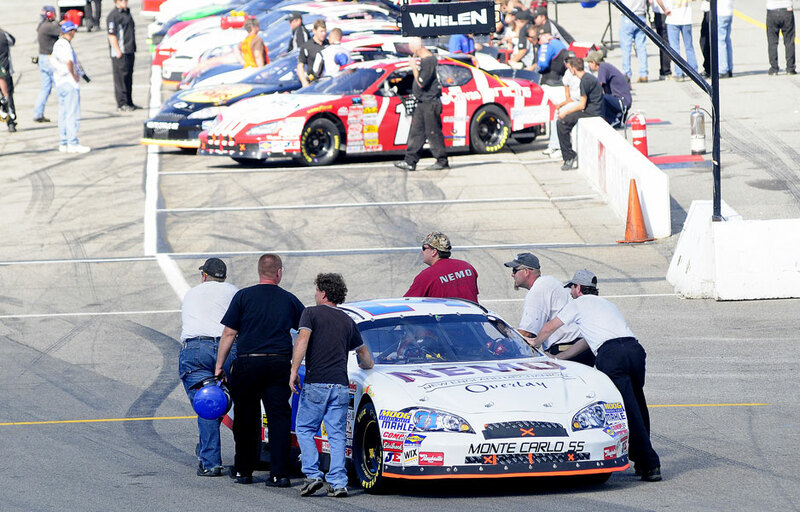 The team will participate in the prestigious Toyota All Star Challenge in Irwindale, California in January. Pole for Peyton Sellers with a 30.124, 2nd to Steve Park with a 30.177. Rain on Friday afternoon moves the race to Saturday morning at 10:00 AM. 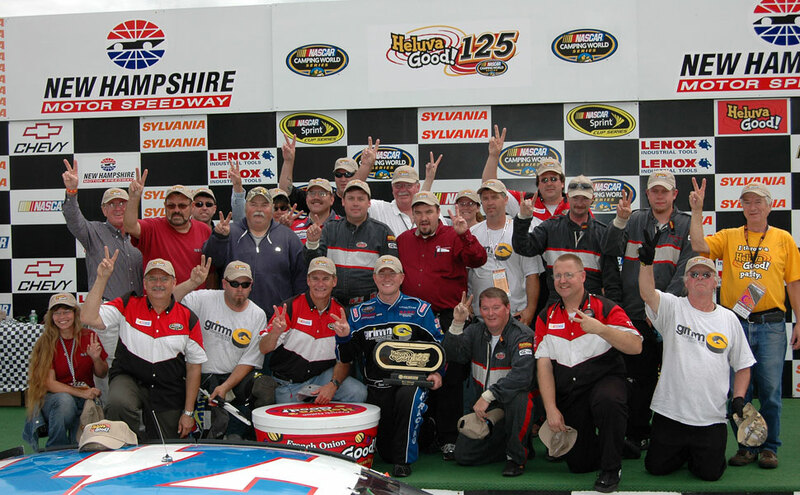 After sweeping the second Heluva Good race for the Air Gas Championship at New Hampshire Motor Speedway on Saturday morning, Eddie, Rollie, and the crew added another championship in clinching the four-race L/A Harley-Davidson Challenge Series title at the Oxford Plains Speedway Saturday night. 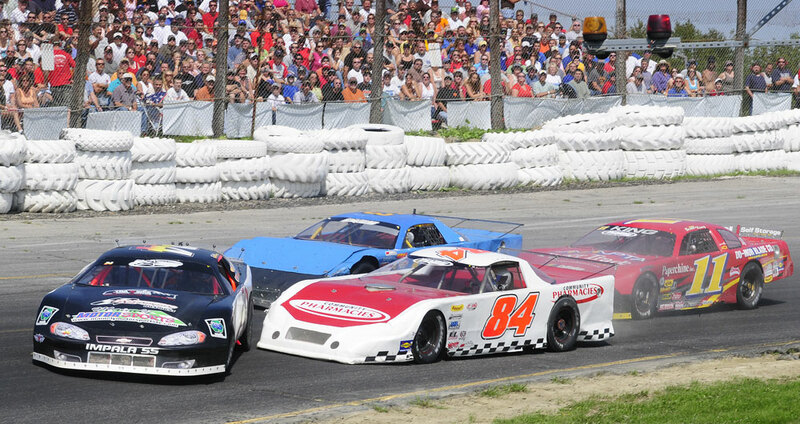 The team arrived just in time to race the last chance “B” feature for the New England Dodge Dealers 150 ACT Tour Late Model race. Eddie started last in that one and powered to the front for the win from back in the pack starting position. 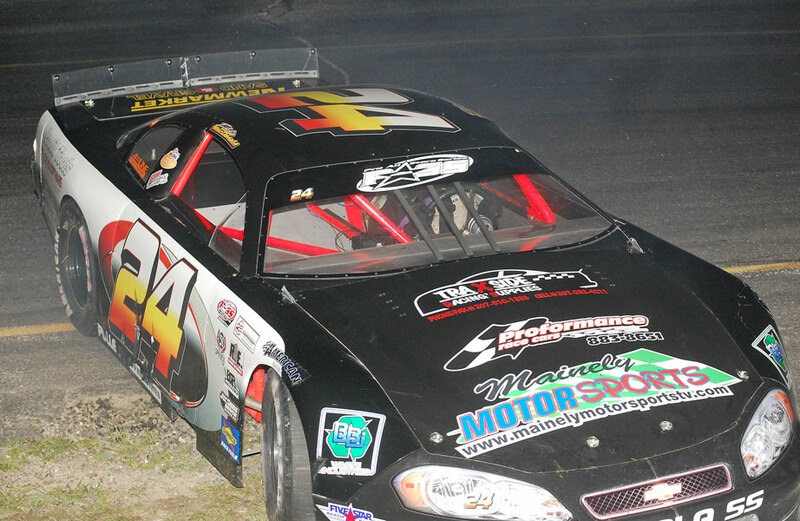 Eddie moved through the field during the main feature but the tires went away at the end. 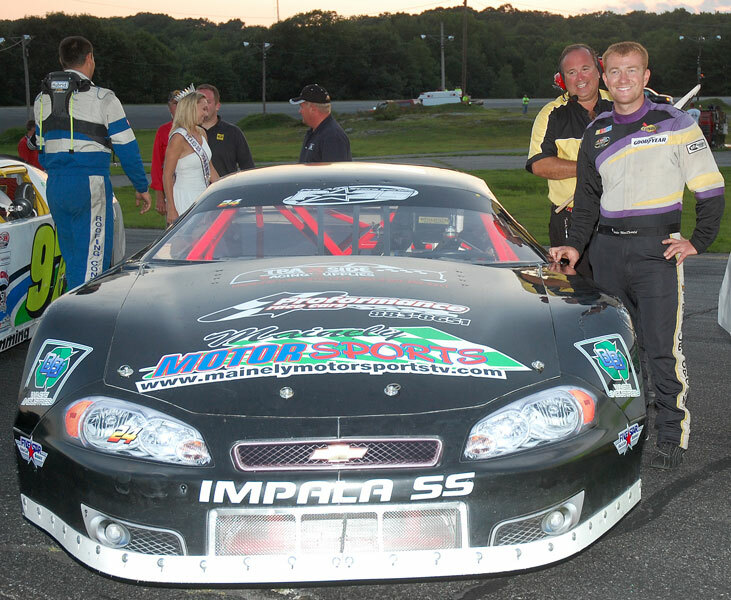 Eddie brought the car home in tenth place that was good enough to be crowned the champion of the L/A Harley Davidson Challenge winning the tiebreaker with Oxford regular Shawn Martin. Eddie also collected $2,000 for winning the point fund. 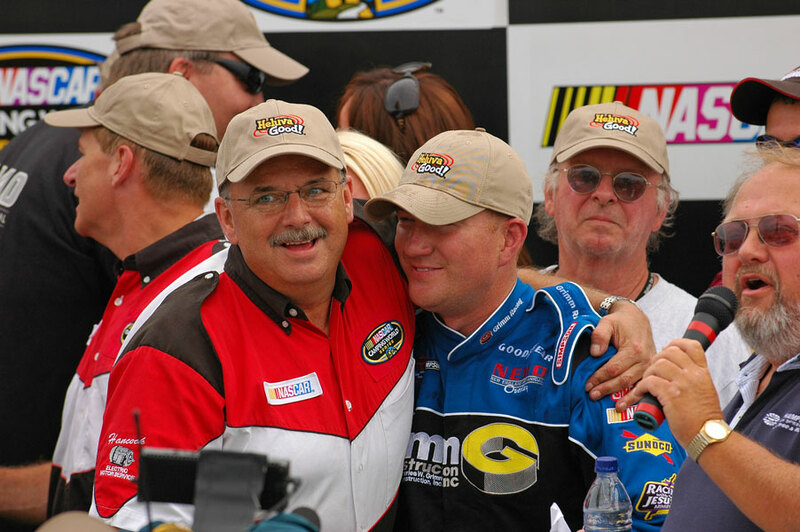 Eddie’s race in the NASCAR Camping World Series East at Mansfield Motorsports Park all but ended early when a loose radiator cap forced him to the pits on lap two for repairs. Another pit stop on lap 27 for more water put the Grimm Construction Chevy three laps down leading to a 21st finish. 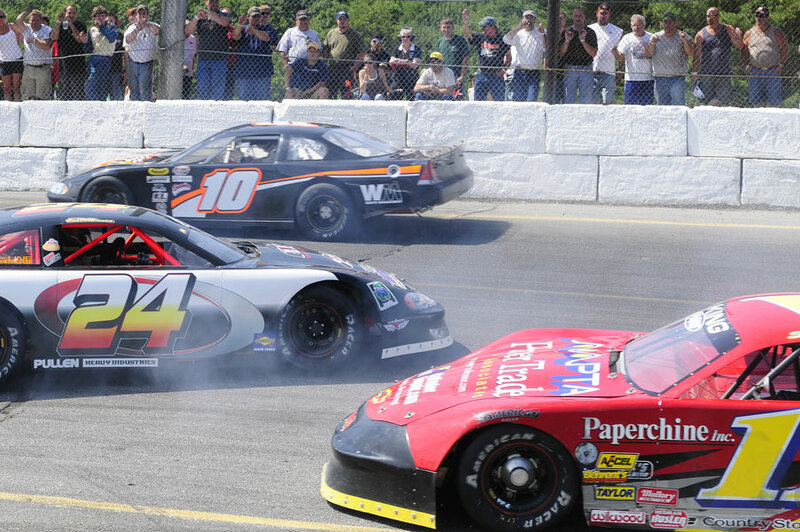 The first of the lucky dogs did not come until lap 120 in the Mansfield 150 with the second coming six laps later leaving Eddie one lap down. The Rowley, Mass. driver could not get another pass to put him on the lead lap and the finish was disappointing for the team. 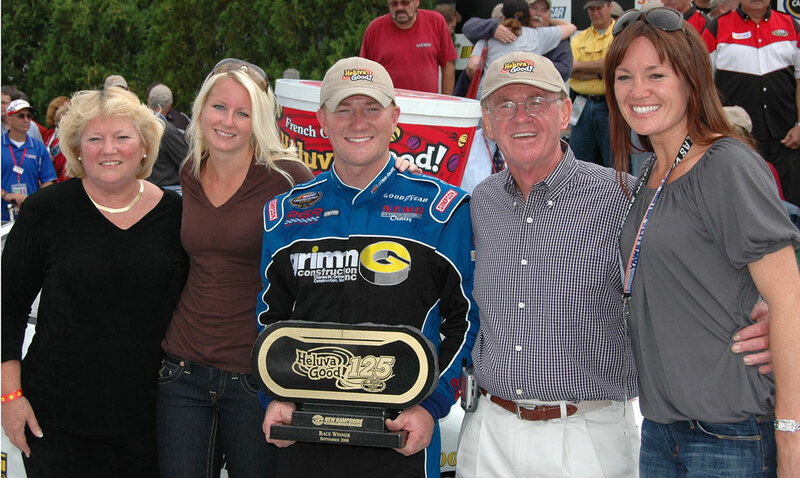 The Grimm Construction Chevy won the Camping World Series race at New Hampshire Motor Speedway in June and would like nothing better than to complete the sweep on September 12th. 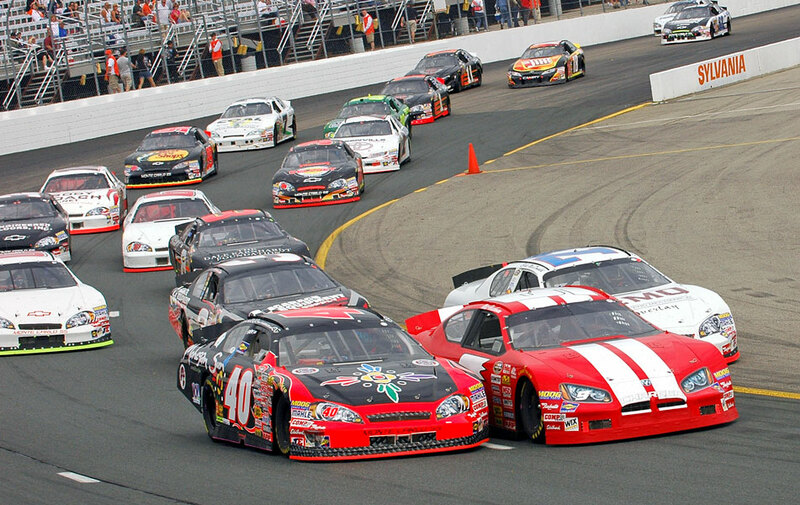 Passing on sleep for yet another day, Eddie, Rollie and the team headed to Wiscasset Raceway on Sunday, August 17th with a Super Late Model sponsored by Steve Perry's MainelyMotorsportsTV.com for the long distance Toyota Tundra 250. The action started almost immeditately in Heat 1. With a nudge in the side Eddie was around in turn two and out of the transfer spots. A second place finish to Mike Rowe in Consi #1 moved the #24 to the feature in appropriately enough the 24th starting spot. 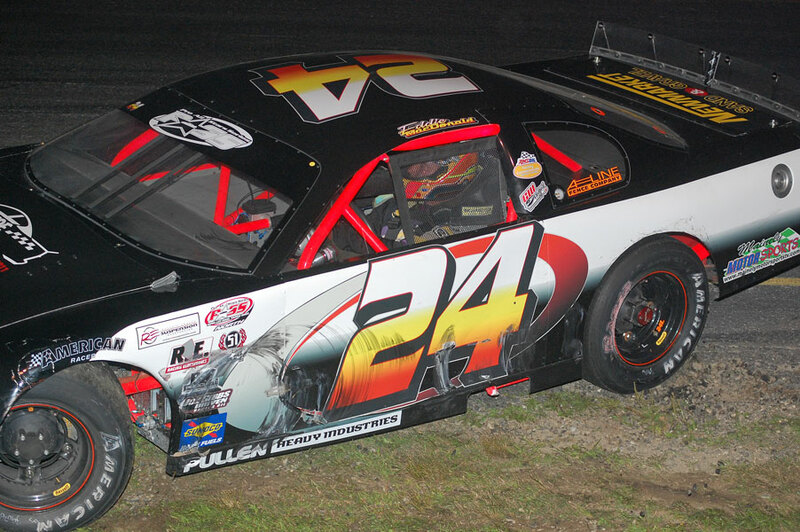 Again early action saw the #24 knocked around in turn two as a bunch of cars tangled, several with severe damage. Eddie continued in mid-pack but the car began to suffer vapor lock or an electrical problem and the motor faded away. Eddie pulled into the infield at about the 2/3 mark for a 22nd. 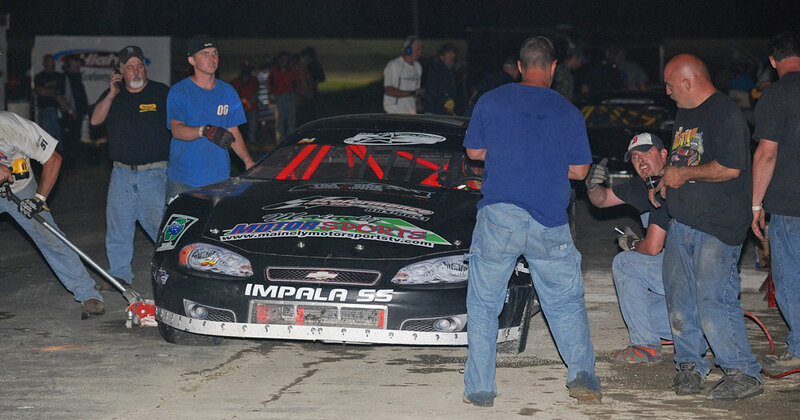 A blown engine, rain on Friday, and rain during the race on Saturday made for a long race event. During the second practice session on Friday, the engine blew, stranding Eddie out on the course. The motor had also blown on the road course at Watkins Glen in June, so there were worries that the dry sump oiling system in the car might not be right. So team headed back to the shop to grab the car that raced at Lime Rock in 2007 and bring it back on Saturday morning on an open trailer. Rain wiped out the time trials, so the grid was to be set on points. Eddie would start at the back in 32nd due to the swap to the backup car. The race was marked by a red flag for rain that lasted 75 minutes, a couple of pit road errors by officials, oildowns, and a variety of pit stop strategies. Eddie worked his way up from back, at one point in the top ten as others pitted first. The final result was a solid run to 14th after quite a thrash. 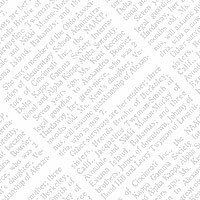 DAYTONA BEACH, Fla. – NASCAR announced that the unofficial results of Saturday’s NASCAR Camping World Series East race at Adirondack International Speedway in Beaver Falls, N.Y. have been revised due to a rules violations discovered during post-race inspection of the third-place car – the No. 3 driven by Austin Dillon. 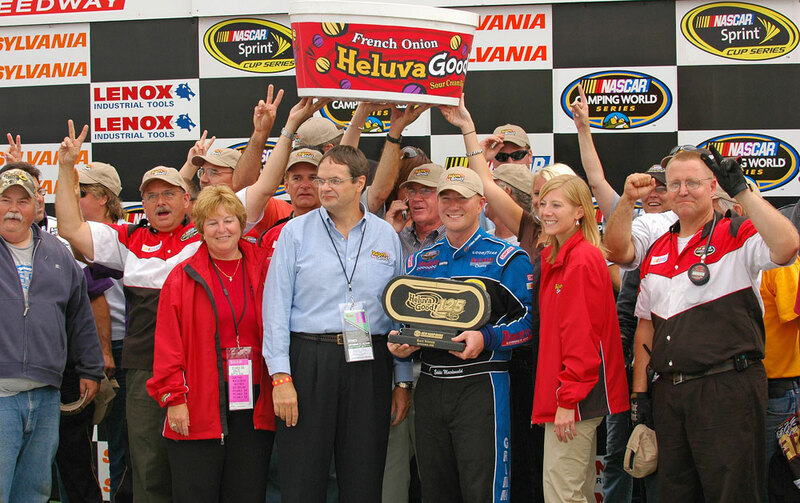 The car was found to be in violation of Sections 12-4-A (actions detrimental to stock car racing); 12-4-Q (car, car parts, components and/or equipment used do not conform to NASCAR rules); and 20C-12.3-S (front shock absorbers would not extend to the specified distance within the specified period of time) of the 2008 NASCAR rule book. The violations were discovered during post race inspection on July 26.The infraction dropped Dillon to 25th in the official race finish. All other drivers in the event moved up one position in the official finishing order. 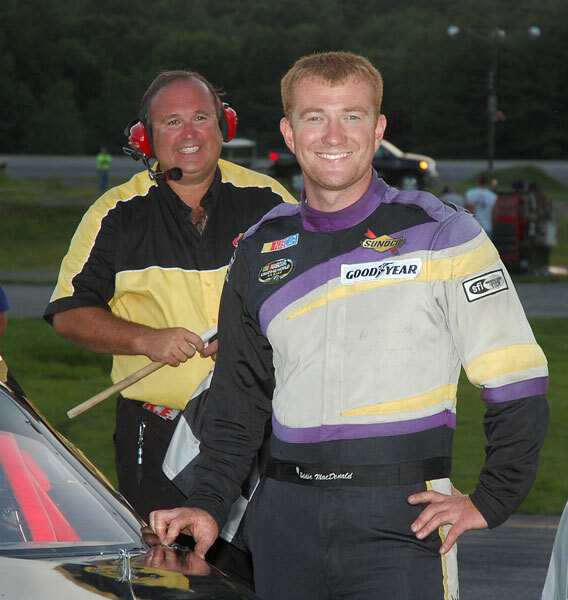 Eddie’s third place run in the Edge Hotel 150 in the NASCAR Camping World Series East race at Adirondack International Speedway successfully capped off a wild night of racing. 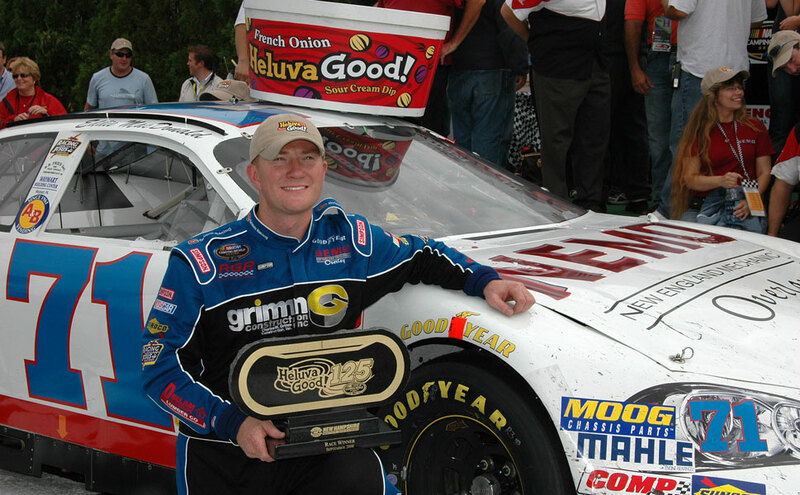 Rain delays caused havoc with the set up of the Grimm Construction Chevy from the start but crew chief’s Rollie LaChance’s decision to stay out with thirty laps to go made the difference. After qualifying ninth (16.766 sec., 107.360 mph), Eddie was able to run in that position until rain brought out the red flag on lap 24. When the race resumed one hour later the #71 was not the same. “The car was really different after the restart. The rain delay changed the track and the handling of the car. It seemed like everyone was having problems and guys were all over the place. It was pretty rough out there for most of the race. I was able to keep it in the top ten for most of the race but the handling was definitely going away towards the end,” Eddie stated after the checkered flag. The fourth place run gives the team its fourth top five finish of the season and moves the Grimm Construction Chevy into eighth place in the point’s race. After two disappointing finishes in the last two races at Thompson and Nashville, Eddie is pleased the team is back on track. Eddie’s best finish on the Lime Rock road course is a sixth place finish and the team hopes to improve with a top five run in the Berkshires on August 16.